This entry was posted in C#, ウイルス対策, セキュリティ, 未分類 on 2017年7月26日 by 木澤 朋和. This entry was posted in Surface Pro on 2017年7月24日 by 木澤 朋和. This entry was posted in Microsoft Edge on 2017年7月17日 by 木澤 朋和. This entry was posted in Excel on 2017年7月13日 by 木澤 朋和. This entry was posted in 未分類 on 2017年7月12日 by 木澤 朋和. This entry was posted in Excel on 2017年7月11日 by 木澤 朋和. This entry was posted in Surface, Surface Pro on 2017年7月10日 by 木澤 朋和. 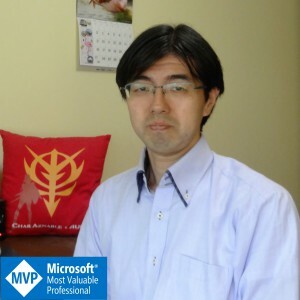 This entry was posted in MVP on 2017年7月8日 by 木澤 朋和. This entry was posted in Excel on 2017年7月6日 by 木澤 朋和. This entry was posted in その他 on 2017年7月5日 by 木澤 朋和. This entry was posted in Excel on 2017年7月4日 by 木澤 朋和. This entry was posted in Windows 10 Insider Program on 2017年7月3日 by 木澤 朋和. This entry was posted in Windows 10 Insider Program on 2017年7月2日 by 木澤 朋和.